If you’ve been paying attention, you know that the momentum has been building and there is a revitalization of Grove that looks to continue into 2018 and beyond – solidifying Grove’s place as the commercial hub of the Grand Lake region. Over the past several months there have been several significant openings spurring the revitalization in Downtown Grove, including the popular Gastropub 1909, the new full service salon and spa at L’Renaue and Grove’s own sweet spot at Sugar’d Spoon Bakery. What you might not have noticed is the expansion at Grand Lake Sports Center – already the Grand Lake area’s most complete one-stop sporting goods stop – and new owners of the building on the southwest corner of 3rd and Main at the stoplight in Downtown Grove. That building has been undergoing extensive renovation and is now just looking for downtown’s newest offering. Other new additions over the past 12 to 18 months in town including the opening of On Target Guns, Bows and Range and the relocation of Honey Creek Outdoors to Highway 59 North. Heading South from downtown is you’ll see the recent opening of the new AT&T Store in a brand new building – new commercial buildings is always a good thing! So what is driving the commercial growth in the Grove area? A couple of things. First, the private investment taking place in the Grove Industrial Park can’t be ignored. 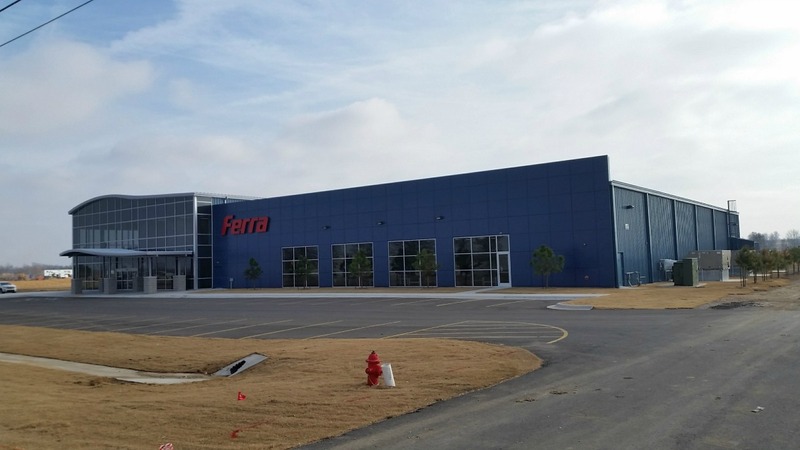 The new Ferra Aerospace facility is expected to employ at least 100 people over the next few years and Orizon Aerostructures is investing $45 million that will add 80,000 square feet to their existing 140,000 square foot facility in the industrial park. That kind of investment creates great jobs for the people of the area. Another factor is the continued growth in the travel and tourism industry, bringing more people to Grove in the ‘non-traditional’ lake times of year. For example, just this week Grove is hosting the Bassmaster Central Open – which not only brings people to town but also keeps Grove and Grand Lake top of mind for bass fishing fans throughout the country. So there is no doubt that the investment from the city in Wolf Creek Park continues to for itself over and over. 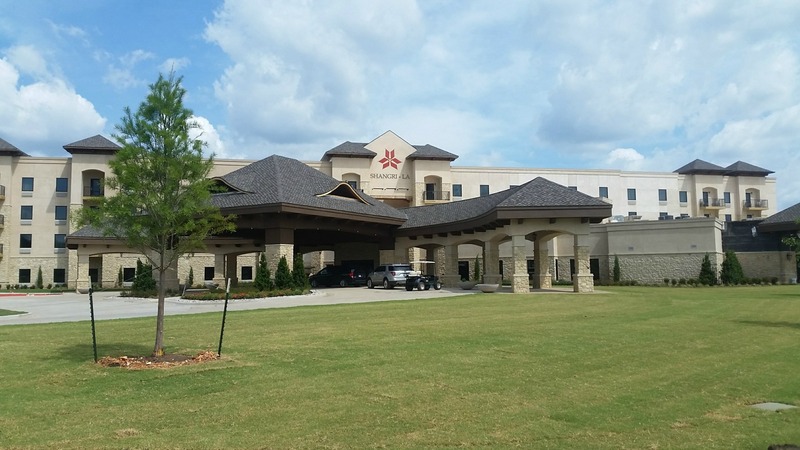 Plus, just outside of town, the openings of the Cherokee Casino Grove and the Shangri-La Resort and Conference Center Hotel have also made a huge impact in attracting more people to the area. And more people to the area means more people spending money at businesses in and around Grove, which just keeps that commercial engine rolling. Don’t forget the beautiful new Performing Arts Center at Grove High School. This beautiful facility not only offers the students of Grove schools a state of the art performance center, but showcases to visitors the commitment from the Grove community to continue to improve and invest in this community. And the community has stepped up as well, with all sorts of great events happening throughout the year. This past summer saw the introduction of Food Truck Fridays, which is expected to continue next spring. The new Grove Springs Cultural District put on a successful community art show. And even on weekends like this coming first full weekend of October there are several events, including the Vintage Market Fall Festival, the already mentioned Bassmasters Central Classic , a Women’s Expo at Grove Civic Center and Pioneer Days at Har-Ber Village Museum. All great activities that bring people out and to Grove….to help spur the revitalization and continued commercial growth. Even with all of the existing commercial growth, there is still room for more. There is plenty of excellent commercial space – for office or retail – available in Grove plus several excellent vacant parcels that are prime for commercial development. But if you are interested, you best act sooner rather than later, because as commercial growth continues in Grove the available opportunities get harder to come by and the price of doing business goes up. To learn more about commercial opportunities available right now in the Grove area, contact Chuck or Victoria with The Perry Team at RE/MAX Grand Lake. They can help you identify available opportunities and work with you to make the most of your investment. Chuck can be reached at (918) 520-1957 and Victoria can be reach at (918) 520-1982 or visit their website HERE.